Spectral Arrows, an improvised long-duration performance for guitar and mass amplification will be presented for the first time in Melbourne at Buxton Contemporary on Saturday 9 June 2018 11AM - 5PM. 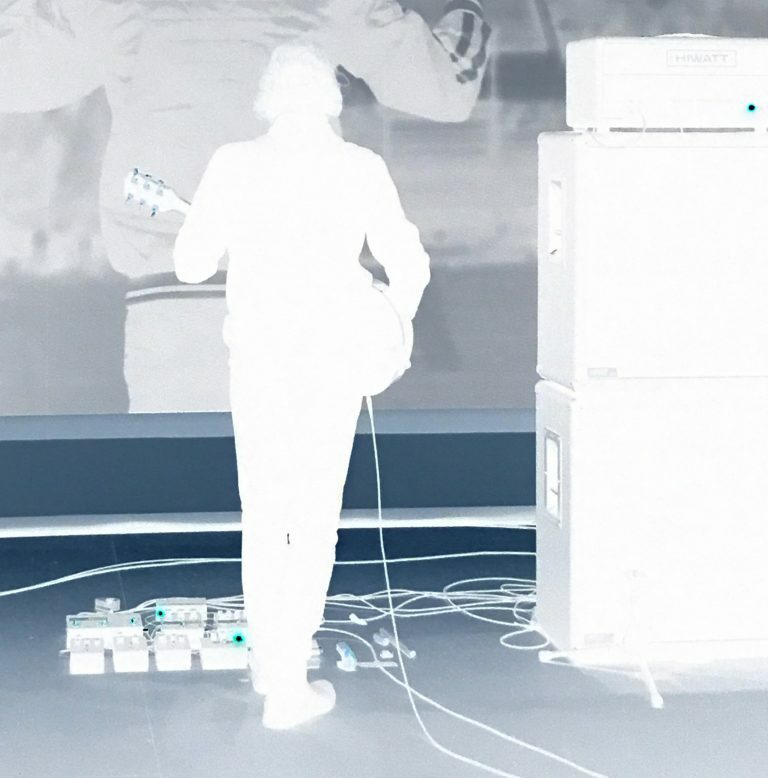 Marco Fusinato explores the idea of noise as music, using the electric guitar to improvise intricate, wide-ranging and physically affecting frequencies. In Spectral arrows, Fusinato arrives at the venue when it opens for business, sets up his equipment facing a wall and proceeds to play until the end of business hours. Fusinato presents himself here in the guise of a worker, clocking on and unceremoniously clocking off at the end of the working day, refusing to allow the behind-the-scenes mystery of rehearsals and preparations to lend an aura to the performance, and affirming the deskilled ethos of his work. An ongoing series of performances, Spectral arrows was first presented at the Glasgow International in 2012 and had since been performed in museums and theatres worldwide. Fusinato also performs regularly in the experimental music underground, frequently releasing music related artefacts on numerous international labels. Marco Fusinato is an artist and musician whose work has taken the form of installation, photographic reproduction, performance and recording. His work has been presented in leading museums and major exhibitions around the globe including: ‘All the World’s Futures’, the 56th Venice Biennale, 2015; ‘The Imminence of Poetics’, 30th Sao Paulo Biennale, Sao Paulo, 2012; SUPERPOSITION: Art of Equilibrium and Engagement, the 21st Biennale of Sydney, 2018; His work was also included in ‘Soundings: A Contemporary Score’, the first ever exhibition of sound at the Museum of Modern Art, New York, 2013 and ‘Sonic Youth: Sensational Fix’ (2008-2010) a travelling exhibition around European museums of artists that have collaborated with the legendary NYC rock band, Sonic Youth.